February is Eating Disorders Awareness Month, and there has been quite a bit floating around the blogosphere with respect to this poignant topic in the dance community. It’s just too bad that we are still faced with a serious problem when it comes to dancers and eating disorders, but the fact that the community is now talking more open and honestly about them is a step in the right direction. Tiffany at Dancing Branflakes always has refreshingly honest insight on body image, and she recently fell into a new and inspiring fitness regime that readers can follow on her blog and on Instagram. But like anything else, even exercise shouldn’t be taken to an extreme – as explained by The Healthy Dancer. Personal Trainer Monika Volkmar (and my new Canadian BFF) shared her personal story about disordered eating early in the month, and published a few anonymous letters from readers wishing to share their experiences. Her blog at The Dance Training Project is also where I shared my own story. The reason for this? Maybe part of it is lack of education and reliable resources. But the other part is that it’s still not entirely ok to talk about eating disorders in the dance community. Though it’s become unacceptable to force dancers to starve themselves, it’s still not okay to be fat, or even average. Dancers weigh approximately 15% below the national average, and that gap is growing along with the average America person (another problem entirely). but it’s not about me anymore. Now that I’ve gone through the catharsis of full disclosure, I’d like to start focusing on solutions rather than case studies. Let’s start showing dancers not only signs and symptoms of eating disorders, but signs and symptoms of what a healthy, strong, confident dancer looks like. As I write this, I’m sitting in a cafe eating grilled chicken, broccoli, and tomato slices with a cup of coffee. 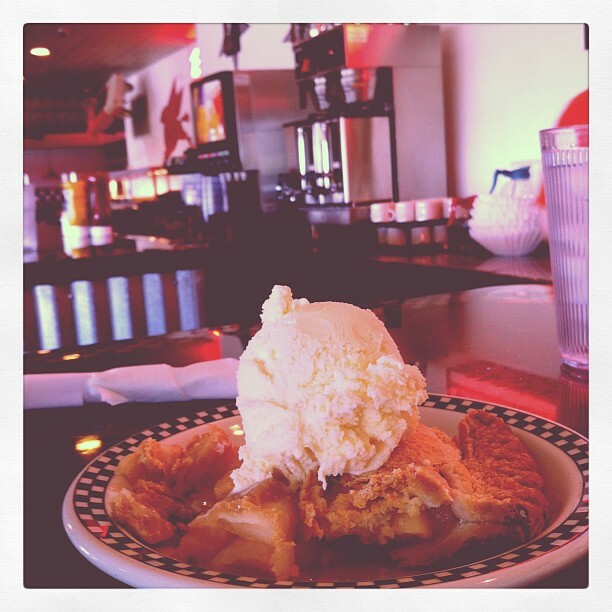 I’m a healthy, active, muscular person, who sometimes has a run in with pie. And part of the healing process is forgiving myself for the pie, forgiving myself for my destructive past, and forgiving the accomplices to my disordered behaviors. How am I celebrating Eating Disorders Awareness Week this year? By sharing my experiences openly and honestly, without fear of judgement or retaliation, by trying to help the dance community move in a more positive direction, and, later, by treating myself to a slice of pie. In recognition of the need for additional resources regarding dancer health and nutrition, I’m committed to building a section of the site devoted to reliable resources on this topic. Health professionals willing to contribute to this effort are asked to please contact me.